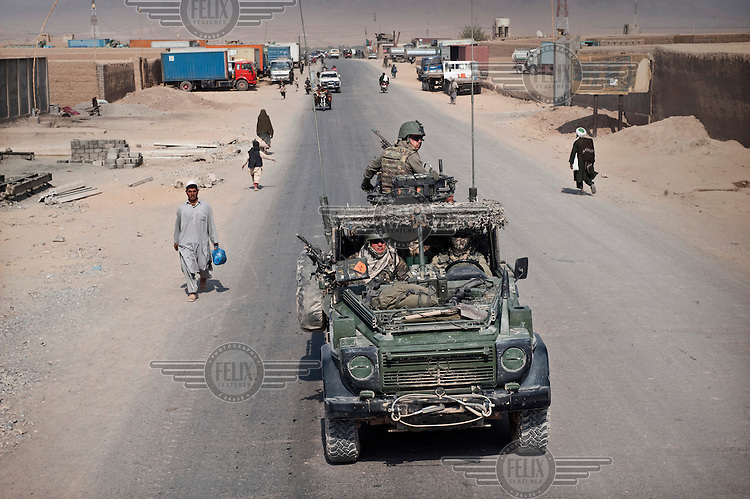 A Dutch ISAF (International Security Assistance Force) patrol vehicle drives through the provincial capital of Tarin Towat, Uruzgan. ISAF is a peacekeeping mission affiliated to the United Nations (UN) and NATO. Restrictions: Not available in Germany or the Netherlands.